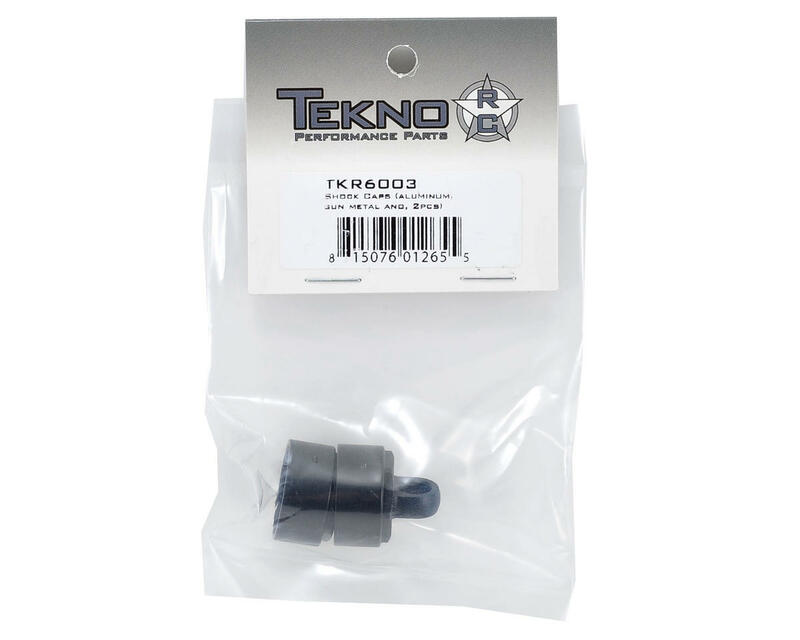 This is a replacement Tekno RC Aluminum Shock Cap Set, and is intended for use with the Tekno R/C EB, ET, NB, NT and SCT series vehicles. "Vented" refers to the small hole on the top of the cap inside the shock mount eyelet. 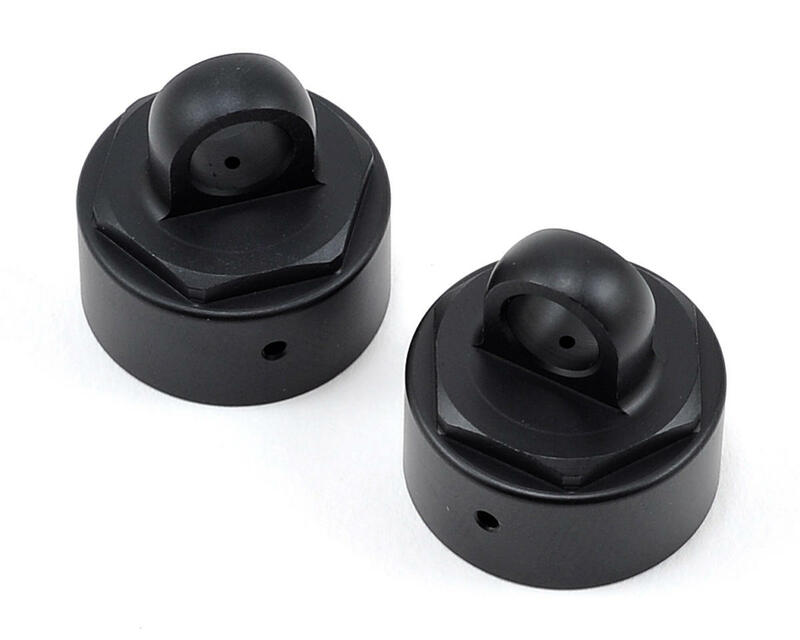 Package includes two shock caps that can be used on either the front or rear shocks. With any bladder shock setup, the bladder is used to compensate for the volume displacement of the shaft moving in and out of the shock body. There is air between the bladder and the top of the shock cap. A vented setup will allow the air to escape at full compression and re-enter at full extension or anywhere in between. A non-vented cap will compress the air trapped between the bladder and the cap, creating rebound and a more progressive feel to the suspension.